Rough stuff: Ford has kitted out the Raptor with numerous performance upgrades. 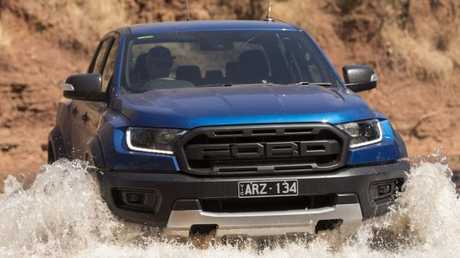 HERE'S proof Aussies can't spend enough on utes: a Ford ute pricier than a Mercedes, the $75,000 Ranger Raptor. Think that's crazy money? The first thousand are already sold. If you order one today don't expect delivery until early next year. Those at the head of the queue will get theirs between October and December, when the first shipments arrive with the updated Ranger line-up. Why the anticipation? The Ranger Raptor is a ute like no other. It's inspired by US desert racers, hence the bold bodywork, high-riding suspension and nobbly tyres. 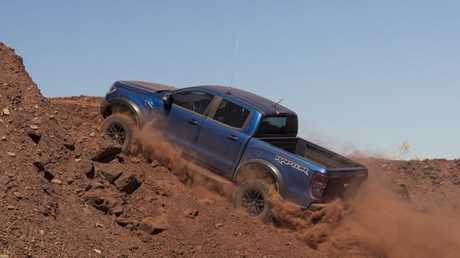 Off-road grunt: The Raptor is powered by a twin-turbocharged four-cylinder engine. Its bigger brother, the F150 Raptor, is now in its second incarnation in the US and dealers there are still selling them for $10,000 over the recommended retail price. As with its namesake expect to see images of the Ranger Raptor leaping into the air and tearing up gravel trails as if it's a dirt bike. However few Ranger Raptors will be driven as their makers intended. Customer Greg O'Shanassy, 55, is trading in his Ranger WildTrak to buy the Raptor. He's previously owned performance SUVs such as the Jeep SRT8 and BMW X6M but put money down on a Raptor as soon as he saw the photos a few months ago. 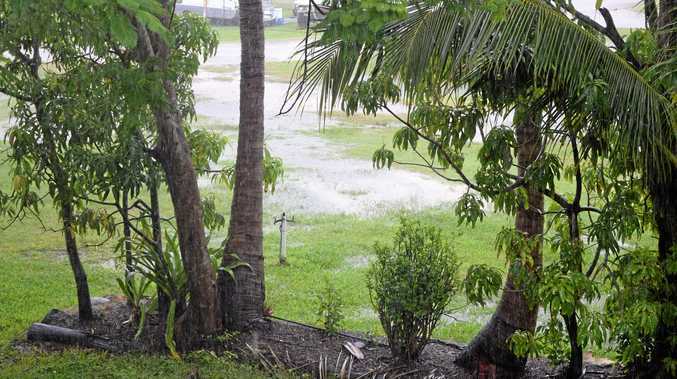 "I love cars and I just love the look of it," says the business owner from western Sydney. "Plus utes don't attract fringe benefits tax." The Raptor will be his daily driver even though the off-road capability is profound. Race-bred shock absorbers take a beating so your body doesn't. The tyres perform an amazing double act of providing surprising levels of grip on both dirt and tarmac. Four-wheel-disc brakes in a market dominated by old-school rear drums help pull up this 2.4-tonne monster truck, which is heavier than most in its class. 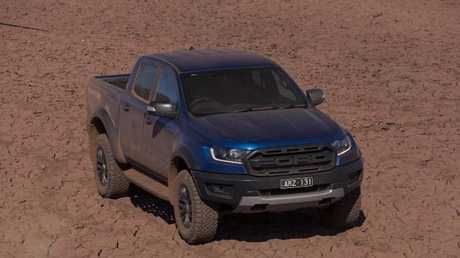 Unlike the utes you see in traffic the Raptor isn't just a jacked-up pick-up. Ford has built a unique chassis for this vehicle, giving it a bigger footprint and unique rear suspension layout. It means the copycats will struggle to match both the appearance and the capability of a real Raptor. Flagship: The Raptor is more expensive than a Mercedes-Benz. 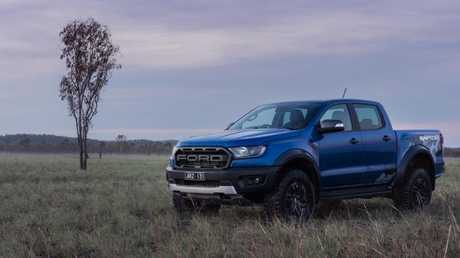 On the road, the Raptor feels as comfortable as a Ranger Wildtrak despite riding on more aggressive off-road tyres. It's also surprisingly quiet for such a raucous-looking vehicle. Off-road it skips over bumps without losing its footing. It's as close as you're going to get to a real rally car off a showroom floor. 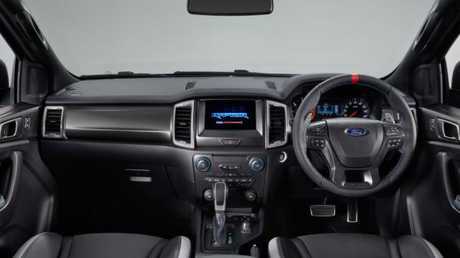 The heavily bolstered sports seats hug you when the going gets rough, and the electrically-assisted power steering has a bit more weight to it, for a more natural feel. After a preview drive in the desert south of Darwin you can't help but appreciate the engineering knowhow to put such a vehicle together - and the financial risk Ford has taken. It has bet millions of dollars in development money - and three years of engineering resources, much of it in Australia - in the hope there are enough people who want a four-wheel-drive ute built for car enthusiasts. Baja-style: The Raptor is built to go fast off-road. Given our love of cars and the outdoors, the Raptor should be a no brainer. However, it's not quite the complete package many will be expecting. Despite its sporty appearance the Raptor lacks grunt. We're not criticising the twin turbo 2.0-litre four-cylinder diesel because it's not a V8. It's slow compared to its peers, despite the 10-speed auto. 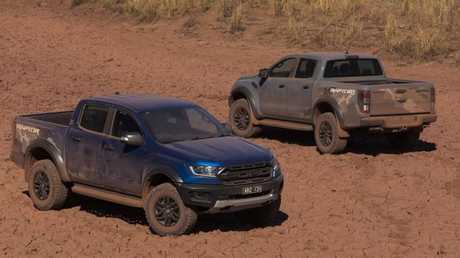 With an official 0 to 100km/h claim of 10.5 seconds it's only half a second quicker than a Ranger WildTrak, about one second slower than a Holden Colorado and more than 2.5 seconds slower than a VW Amarok TDV6. This may not sound like much but it's daylight in performance terms. Fans expressed their outrage on social media even before the Ranger Raptor was released. It turns out they may have a point. Simple cabin: The interior is fairly spartan. Overtaking was a concern even on long straight stretches of the Stuart Highway. Ford says anyone who is focused on engine performance doesn't understand what the Raptor is all about. 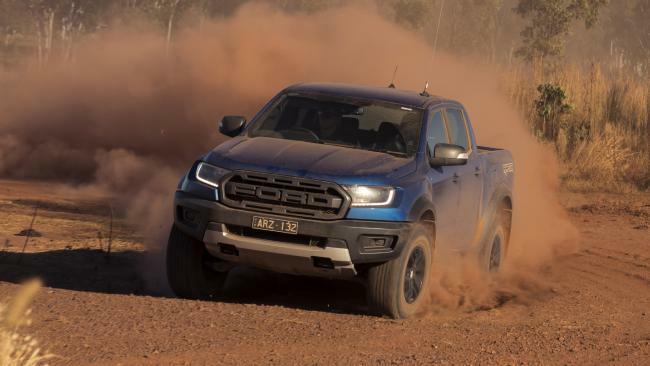 When asked if Ford had plans to boost the performance of this engine, find another one, or add the option of the turbo petrol from the US Raptor, executives shook their heads and offered other solutions. "You need to put it in sport mode, use the paddle shifters to tap down a gear," said one of the chief engineers. The reality is Ford didn't have a choice. There was no other engine available. Perhaps that's why it started talks with Volkswagen for a future joint venture, because a Raptor with the V6 from the Amarok would become the hot hatch of utes. However, that's only a pipedream at this point in time. More than the engine: Ford says the Raptor’s performance is more than outputs. At the least the 2.0-litre has a decent note, albeit one pumped into the cabin via a sound synthesiser. And it is relatively quiet and refined the rest of the time. Other downsides? The Ranger Raptor can only tow 2500kg when most in the class can haul 3500kg. And the payload is 758kg versus about 1000kg for most rivals. The Raptor also misses out on automatic emergency braking and radar cruise control, even though both are available on the updated Ranger. Ford says the extra safety aids will be added to the Raptor by this time next year. Many buyers may not care for these but it's unusual for a flagship to lack technology available on cheaper models in the range. The Ranger Raptor is an awesome sports ute in desperate need of more grunt.